You know that sinking feeling that Groundhog Day really exists? I mean when you return home just for an argument among the kids to blowup to NUCLEAR proportions - the very second you step through the doorway? Well, it is not your imagination playing tricks on you. And authors Russel and Lillian Hoban have captured the magic of a dad's "Groudhog Day" - known as The Sorely Trying Day - in its full glory. With this unmissable read aloud book, you will able to laugh with your kids about their weird behaviour ... and possibly .... just possibly ... get them to stop starting World War 3 every time you return from work. In this insightful story, after his sorely trying day, all the father wanted was to relax and recover, but at home he faced his children striking each other and the pets fighting all over the furniture. But how did it all start? That question is the heart of this picture book. You will laugh your head off with your kids in your lap, trying to find out who is responsible for the mayhem. This also reminds me of the detective work I have to do, almost every day to discover who is the main culprit behind the chain of events that awaits me. The Hobans (Russel and Lillian) with their fluent prose and magical drawings, captured forever a day that will be enjoyed by families around the world. It did take some effort to reach the end (we read it in a single evening) but the result was extremely rewarding for my three-year old twins. The irony of the book's ending did not get lost on them and we all laughed out together after reading the last page. The book almost feels like a home-based detective story. If it were a movie, one could almost compare its "editing" to Pulp Fiction. The reader is invited to trace back the steps from a dramatic opening scene to the root of the problem. Great approach - we go backwards in time and our principal sources of information are the four kids in the family, the cat and the dog. Father tries to sort out what happened and why were the children involved in standoffs with each other, as well as with the dog and the cat. Mayhem deconstructed. The story takes us through the viewpoints of all principal players, all of whom feel they have been wronged. But the standoff between parents and children resolves magically, after Wilhelmina, the youngest child, decides to apologize and admit her true role in the fracas. One "sorry", launches a snowball of apologies and admissions, all leading to a comical and lighthearted ending. The Sorely Trying Day is an exercise in family relations that helps us see both sides of the coin. The hardback edition issued as part of the New York Review Children's Collection is a very attractive version of the book and another triumph for the publishers of the truly exceptional NYRB Children's Collection. Each page has a large black and white illustration that accompanies the story, which makes it easy for experienced younger listeners to follow the events. Also, if you are not yet acquainted with the NYRB Children's Collection, you should be. 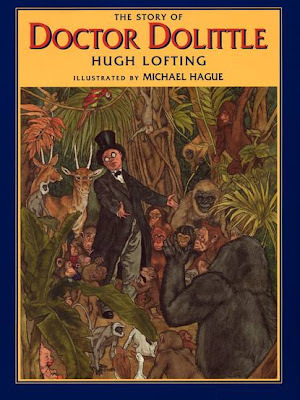 This is an amazing collection of books that was started back in 2003 as an effort to resuscitate many children's classics that had gone out of print for a long time. The line does not focus on one type of children's books - you can find picture books, chapter books, editions for older kids. Not only did the publisher decide to re-publish them for the benefit of new generations, but these editions are presented in such classical formats that my mouth waters just by looking at them. If you like the New York Review Books Children's Collection, you can also check out some of my other reviews such as The Man Who Lost His Head, The Two Cars, Wolf Story, Beyond The Pawpaw Trees and Wee Gillis. No, you are not the only one who's smitten by the NYRB. The Man Who Lost His Head? Yowza! What a McCloskey! And one more thing ... the style of the prose is twisted, Victorian even, and the illustrations also, for a book published as the Beatles were revving it up. Victorian! What a mod way to go. Ever funny! Indeed! It is a classic! My kids are spellbound by the story and the incredible pictures. McCloskey's illustrations are vintage .... McCloskey! A fab book for reading aloud. Victorian style with a touch of the Beatles!